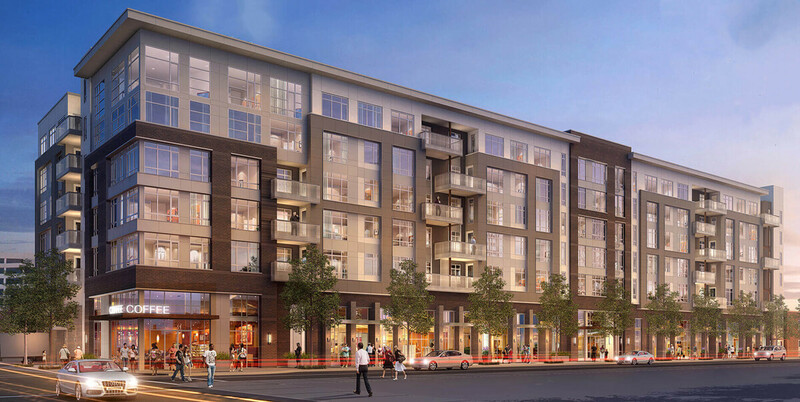 The mix definition for mixed use development refers to buildings that have multiple units zoned for different uses, usually residential (multifamily) and commercial (retail shopping centers and office building space). It can also include a mixed use of industrial, institutional and cultural units. For example, a mixed use building might consist of several ground-floor retail stores with residential units (rental or condo) on higher floors. Some government-backed loans require at least 80% mixed use residential use. Assets America® funds mixed use development for medium and large properties, starting at $5 million. Loans for mixed use property include short-term and long-term financing. The construction/rehab phase is financed by interest-only mixed use construction loans or commercial mortgage bridge loans from banks and private lenders, often backed by government agencies. They commonly have terms of 6 to 18 months but could conceivably run up to five years on larger projects. Mini-perm loans pay off the construction phase once a certificate of occupancy has been granted and 90% to 95% of the space has been leased and stabilized. These loans have terms of up to five years, and are eventually replaced by permanent, commercial takeout loans, or mortgages, with amortization terms up to 30 years. These loans are also used to refinance mixed use real estate. Assets America® can conveniently provide full, mixed use development financing for mixed use construction, mixed use bridge, mixed use mini-perm and mixed use takeout loans, thereby assuring funding continuity to investors and business owners nationwide. Our multi use bridge loan funding helps developers that don’t qualify for typical, bank-sourced construction loans. The two primary users of mixed use development loans are real estate investors and business owners. The investor will build/buy the mixed use building and lease out the space to commercial and residential tenants but may also sell units. This kind of investment is attractive on a risk/reward basis, as the commercial tenants usually pay more in rental income than do the residents, while the increased occupancy risk stemming from commercial tenants is offset by stable residential leases. Apartments are usually cheaper to maintain and don’t need commercial unit build-outs (aka TI’s) or leasehold improvement allowances. Taking all these considerations into account, mixed use buildings have attractive risk and return characteristics for investors. Of course, investors can choose to live in their mixed use development as well. A business owner might buy one or more mixed use buildings, run the business in the commercial area while living in one of the residential units, and sell or lease out the remaining units, if any. The business owner may also function as landlord or might farm this function out to a professional property manager. Main Street Commercial/Residential: Commercial units on the ground level facing the street below a few stories of residential units. Urban Commercial/Residential: Similar to main street commercial/residential buildings except the commercial space doesn’t necessarily face out to the street. These building typically have 3 or more stories. Office and Multifamily: Residential (multifamily) units sharing space with offices in one or more buildings. Live/Work Space: A building owned by a business in which the owner lives in the residential portion and works in the commercial portion. The below project, financed by Assets America®, is a beautiful Class “A” mixed used development, high-rise property in a tertiary market. The property consists of a “commercial component” on floors 1-5, and a residential component containing for sale, luxury condominiums on the 20 stories above the 5 floors of retail and office. Studio/Light Industrial: A building where residents can operate small workshops or studios. Retail District Retrofit: Renovated mixed use suburban properties that were once strictly retail. Hotel and Residence: Hotels like the Four Seasons (or in the below rendering, the “Landing Hotel”) sell some units as condos to residents who share the building with hotel guests. Neighborhood Commercial: Mixed use buildings with a ground-floor convenience store, usually situated in residential neighborhoods. Shopping Mall Conversion: Residential units added adjacent to an existing shopping mall. The typical sources of mixed use development financing are banks, conduits and private lenders. Government agencies can guarantee, and in some cases provide, funding for mixed use development as well. Although several agencies back mixed use development loans, Assets America® typically works with Fannie Mae for permanent financing of mixed use projects. The Small Business Administration typically limits loan amounts below the range at which we operate ($5M+). Loans are also available from the USDA for mixed used development in USDA rural development areas. Term: 5 to 30 years, non-recourse fixed rate, for acquisition or refinance of existing properties. Amortization: Up to 30 years. Eligibility: Properties must have at least 90% occupancy a minimum period of 90 (aka 90 for 90) days prior to funding. Properties must have at least five units. Fannie prefers metropolitan properties but will consider secondary and tertiary markets if other aspects of the deal fall within certain parameters. Prepayment: Available with payment of yield maintenance or prepayment premium. Rate Lock: Commitments of 30 days to 180 days. 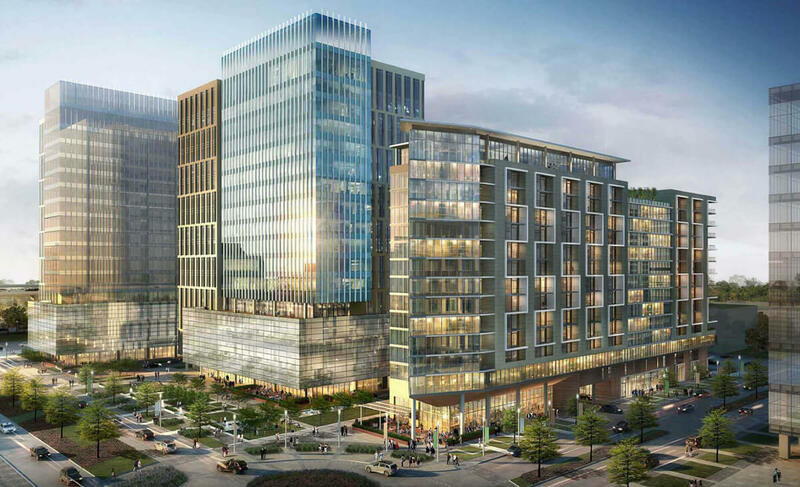 Assets America® uses its network of local, regional and national banks, as well as private commercial lending sources, to arrange short-term and long-term financing of mixed use development projects. Term: 6 to 18 months. Interest Rate: 4% to 12%. Lender Fees: 1% to 3% origination fee, 1% exit/extension fee, 1% prepayment penalty. Amortization: Typically none, interest only. Maximum LTV: 70% to 90%. Eligibility: Credit score 550+, no subordinated debt. Approval Time: 5 to 45 days. Assets America® has the experience and resources to provide full life cycle lending for mixed use development buildings. We can provide a mixed use property loan for the construction, rehabilitation, acquisition or refinancing of mixed use real estate, even if you don’t qualify for a bank loan. The International Council of Shopping Centers has an excellent two-part series on redeveloping mixed-used spaces for optimal efficiency and profit. You can read Part I: The Economics of Place Making and Part II: Achieving Optimal Market Position. Read about the increasing role of technology in mixed used development from this Globe St. article. The JLL Retail Blog published the article, which describes the “halo effect” and other factors contributing to the continued rise of mixed-used developments. Read the Forbes article for a general overview of how mixed use developments drive up property values. For a collection of highly efficient mixed use developments brimming with innovative and community-fostering elements, check out 10 Urban Projects That Nail Mixed-Use Design. We understand that each project is unique, which is why you will benefit from our customized service that gets you the best mixed use development financing package. We invite you to contact us today for a no-obligation consultation and proposal. Please call today at (206) 622-3000! We look forward to hearing from you!